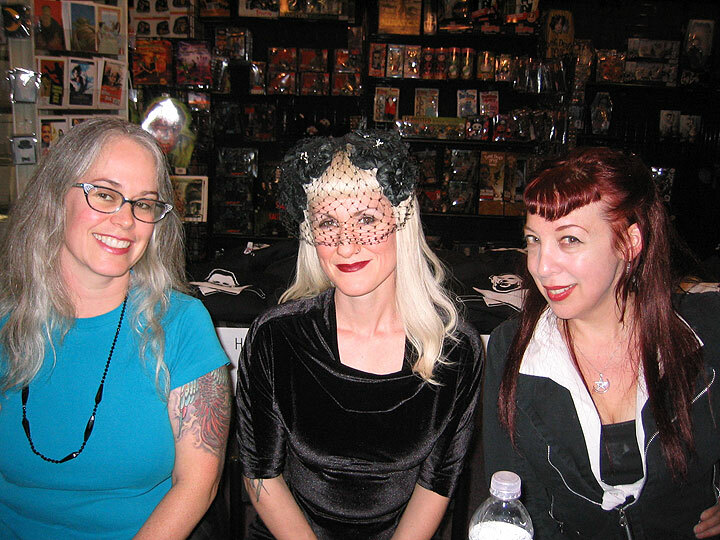 Maria Alexander, Christa Faust and Loren Rhoads did a special signing to launch Sins of the Sirens at Dark Delicacies at 4213 W. Burbank Blvd. Burbank, CA. You can read about the event in Loren Rhoads‘ and Maria Alexander‘s blogs. Maria Alexander and Loren Rhoads performed live readings from Sins of the Sirens (and, of course, signed books) at Borderlands Books in San Francisco. Read about the Reading Redux in Loren’s and Maria’s blogs.